Not so long ago, developers have released Friendly Update, which added Realms along with other additions and changes. It is worth noting that this is the first update, which Mojang AB team has given an official name. After analyzing the elapsed time between new versions of the game, we have calculated the approximate release date of Minecraft PE 0.17.0. It is November 2016! Why is it? During the last three releases (0.13.0, 0.14.0 and 0.15.0), the average time was about three months. First, consider the compilation a few things planned. Pretty simple block for creation (there are special scripts and mods, which perfectly show itself in the game). 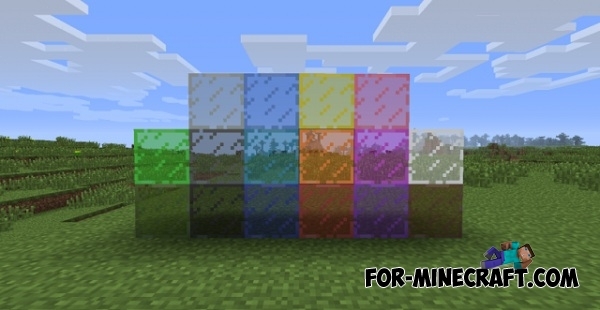 Coloured glass - is transparent full-sized block, colored version of the ordinary glass. The main purpose of this glass - decorative. There are 16 colors of colored glass. Another simple thing. We believe that the Mojang team will not be difficult to add it to the game. 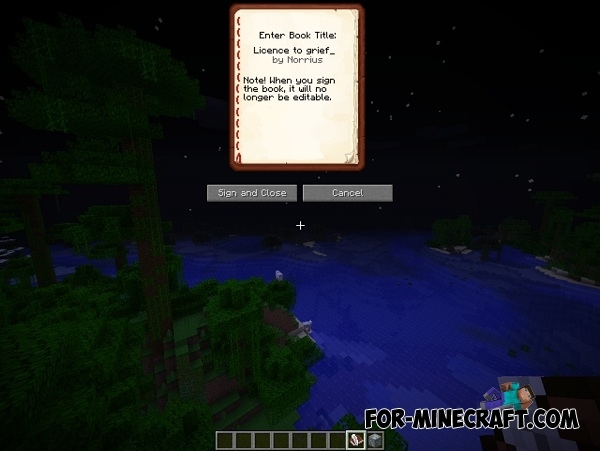 This item is used to create custom books. Typically used in passage maps for creating user guide or in multiplayer. Quite a useful innovation, which will help to keep your things. 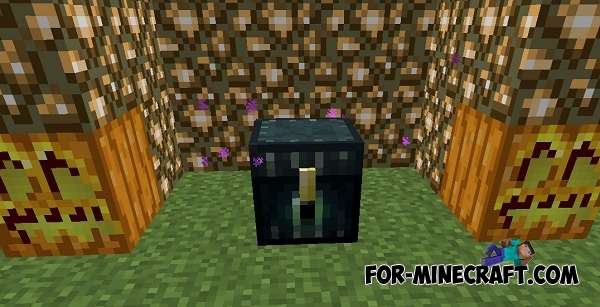 Ender chest externally is similar with an ordinary chest, but the main feature is the storage system of items. If you put two Ender chest nearby, all of the items from the first trunk will be available in another. 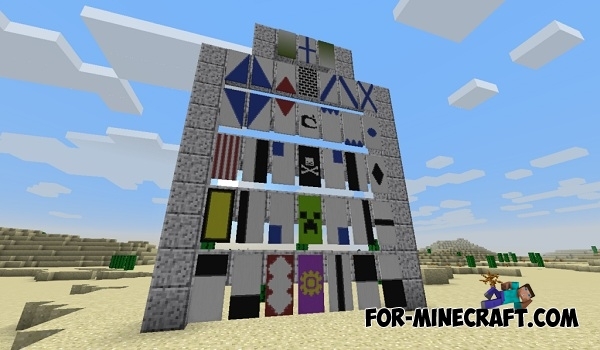 Banner - is a decorative block having two blocks in height. It can be placed on the block at the top or the side, like a signs. When you create, you can choose different colors and patterns, which are limited only by your imagination. With their help, your fortresses and castles completely transformed. Yet for a long time Mojang planned to add the trade with villagers in the future. It took quite a long time, and most likely the developers will add this feature in MCPE 0.17.0. Trade - is game mechanic that allows you to to exchange with the villagers, using emeralds as a currency. This way you can get items that are very difficult to get by other methods, for example chainmail armor and also get the experience potion. 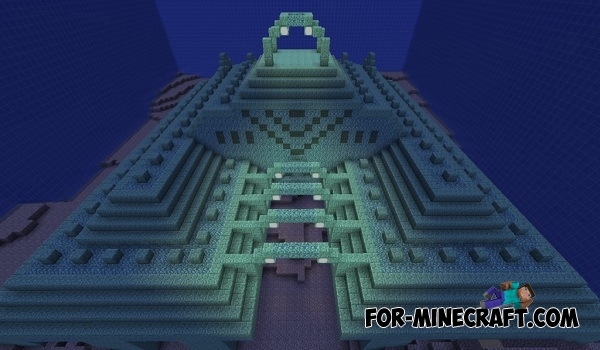 Ocean monument - is a structure that is generated deep in the ocean. You will find golden blocks and sponges as a treasure, but be careful. There are a lot of guards (quite strong opponents). After the promised sound engine update, Mojang just have to add these interesting things. We think you will enjoy music by C418. Jukebox - the special block that is used for playing of music discs. 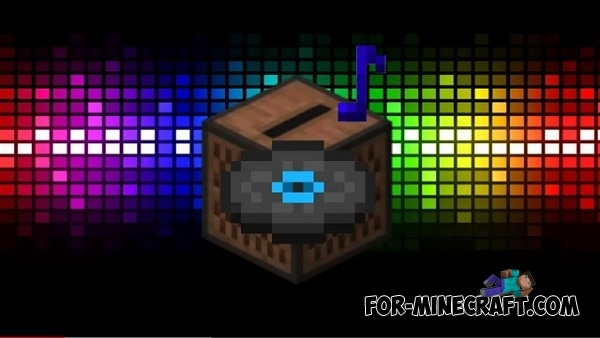 It is planned 12 different music discs with melodies that will drop out from creepers after death by skeleton. Also they can be found in the treasures (but only "cat" and "13"). How to intall this thing? i wanna try. HOW RO INSTALL THIS!!!!! ??? Does have trading because, I waited for too long.